Check out the website... the author has posted incorrect guesses he has received from Questors. He has people that have not read the book sending in guesses how crazy is that?? Some of these guesses are pretty entertaining! Most make no sense whats so ever. There is a guy trying to find the dagger and he hasn't even read the book. A couple guesses I can tell who they are just by e-mails I have traded with them. There are some crazy people out there!!! My AAA Street Map of LV arrived . On to plotting the names and places from the book. It is amazing how many of the character names show up as a street on the map. I'm hoping that when all plotted out, it reveals some sort of pattern, like the jewelry thefts in the furniture store. Where have you looked, sent someone to look, or sent in a guess that was rejected? I can say with 99&#37; certainty that it is not at City Hall. Nor is it at Zcastle. a medieval shop that has a knight with a sword out side the door. Quite creative guesses, and someone must have had fun researching! But not correct locations. Keep on Questing. Vegas Die Second Edition Page 13. Feb. 11th, 20009 - I have come to the conclusion that this is the location due to the fact that an 18 ft. tall, 2 ton, "silver dagger" is located in the small flower bed (shown) in the Conservatory at the Bellagio "Gardens" Hotel & Casino, in Las Vegas, at the entrance to the Spa Tower. 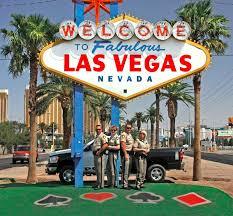 Aug. 1st, 2009 - My guess as to the location of the hidden dagger is within 15 ft. of the historic "WELCOME to quackquackquackquackquackquackquackquack Las Vegas - Nevada" sign which is located in the median at: 5100 Las Vegas Blvd S, Las Vegas, NV 89119 (more accurately at: 36.082035, -115.172765) - I feel that the dagger is hidden/"buried" beneath the artificial turf that has been placed at the base of the sign - which, in 2007, Clark County installed decorative artificial turf inlaid with four playing cards (suits) underneath the sign. Two of your links don't work.